The past few weeks the weather in Denver has been feeling quite bi-polar lately with crazy amounts of rain, hail, followed with sunshine. It seems as though Summer is taking quite a dip and Fall is coming in fast which makes me feel like I need to wear dresses as much as possible before the season ends. 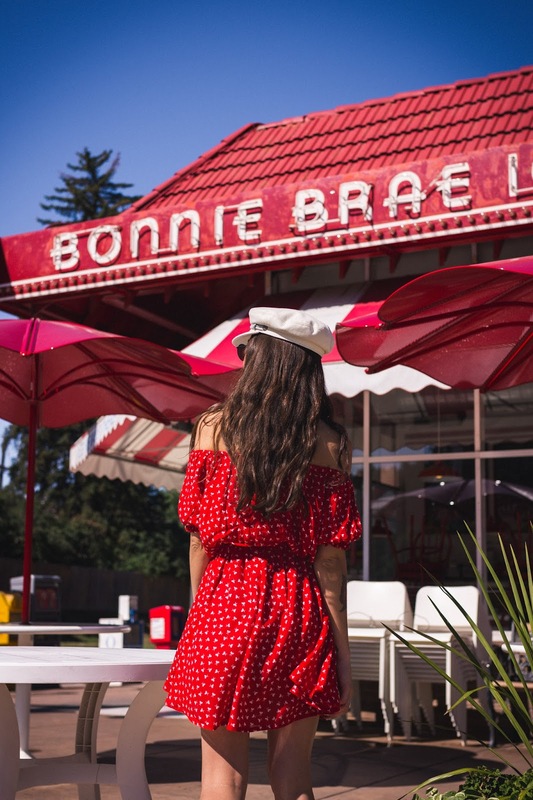 Urban Outfitters sent me this great red dress from Faithfull the Brand "Jardim Dress" and it felt quite fitting wearing it at Bonnie Brae here in Denver. My fisherman hat is also from Urban, made by Brixton and pairs perfectly with the dress. I'm happy hats like these are coming back I bought a black version of this almost ten years ago from Urban, it's always great when you can put old items to use again.